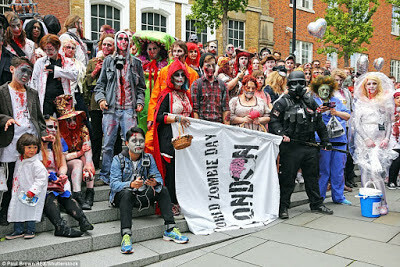 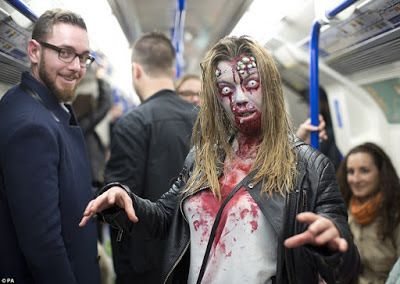 Dozens of people dressed as zombies in central London to raise money for homelessness charity St Mungo's Broadway on Saturday... 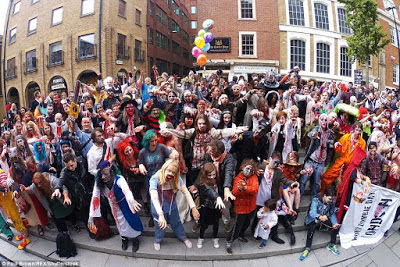 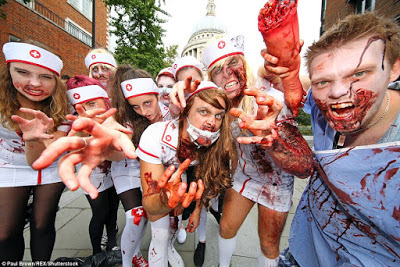 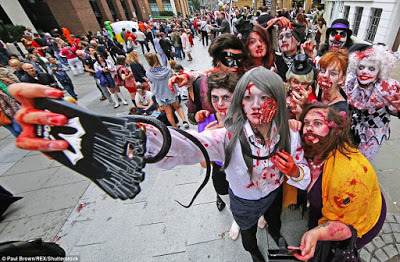 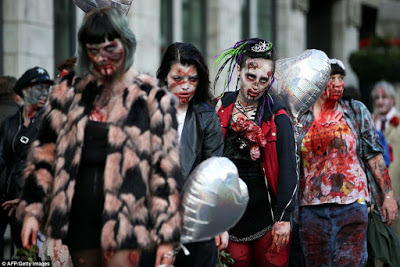 They were taking part in World Zombie Day, which is being marked in cities across the globe. 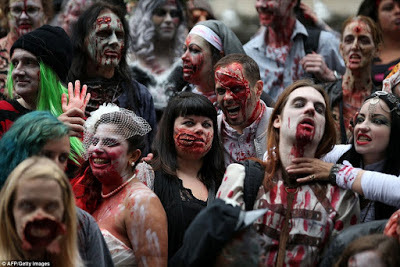 Organizers were keen for the undead to stay out of trouble, issuing a lengthy list of rules. 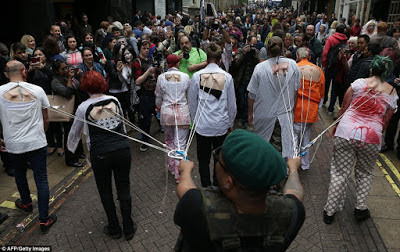 Among the rules were not walking in the road, not freaking people out and not bringing fake weapons, in order to avoid a standoff with police.